The road between Guamote and Macas is really nice. The road is in great shape-paved, and it has hills and mountains mixed together. We started out the day at about 9k feet and went up to 11.6k and then dropped 8k feet. the scenery and remote feeling, as we sa no cars from. the other direction and only about four transport trucks . I hope the video does it justice, it’s always better a through our eyes. This could be the best section of paved road we have done. considering unusual scenery, openness to see the surrounding area, turns and elevation climb. The scenery being multi layers of hills and mountains with raanchland. 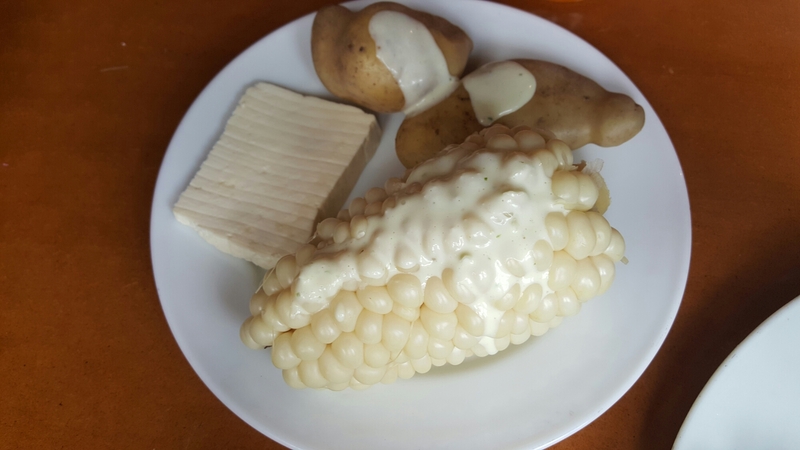 Corn on the cob is a little different, much larger kernels. Cheese seems to all ways come with lunch and breakfast. After going north out of Cotopaxi, we are headed south to Peru. Not wanting the experience of the panam highway, we are trying to hit some alternate routes, and it’s paying off. We have had to do some major highway riding, but it is at a minimum in our plans. Yesterday was the majority of interstate type roads, and shouldn’t have anymore until well into Peru. 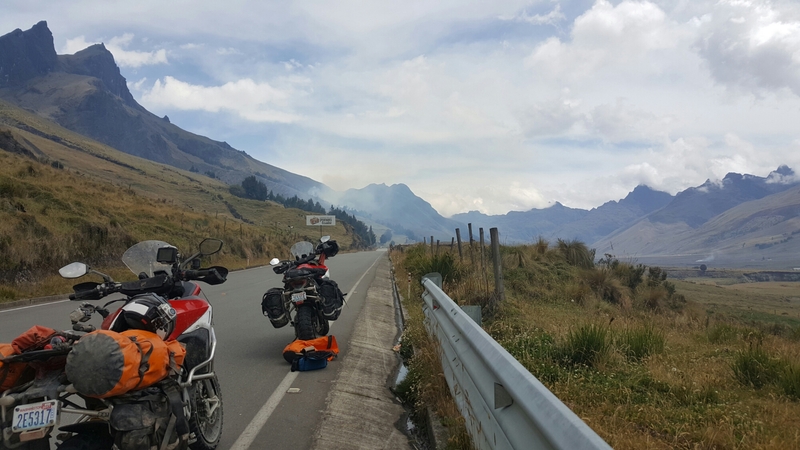 After stopping tonight we talked with a local who told me some great roads to ride into Peru on, should be mostly paved but some might still be dirt….yaaahooo for dirt. We talked for awhile about our bikes and his new BMW gs 1200 motorcycle he imported from Germany. Sounds like there’s a big bmw following down here.